Self-confidence as a skill that anyone can build, practice and master. It is the belief in your ability to accomplish the task at hand, no matter the odds, no matter the difficulty, no matter the adversity. Self-confidence is like a muscle. The more you practice, the stronger it gets. If you're following the Euro Cup, you'd know that Portugal has advanced to the final game taking place in France this Sunday. 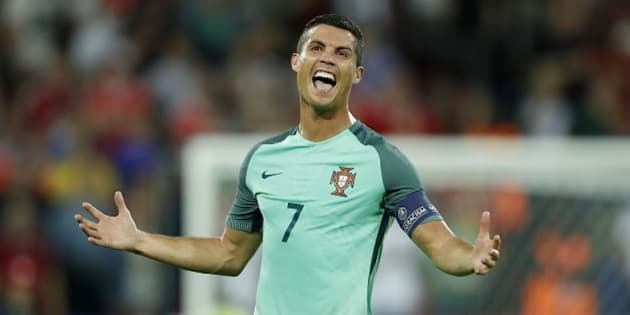 Cristiano Ronaldo, captain of the Portuguese team, led the team to victory in yesterday's semi-final against Wales. One goal in particular that Ronaldo scored recently is worth looking at. "I've never seen a player leap as high and fly as long as Ronaldo can. What a remarkable athlete," tweeted sports broadcaster Gary Lineker. For Ronaldo to deliver that header, he had to climb to a height of 8-foot-7 and keep his body in the air for 0.7 seconds to make contact with the ball. That means that he had to know exactly where the ball was going to be and be at the right time and right angle to kick it. That kind of knowledge only comes after years of experience and thousands of hours of practice. Whether Ronaldo is the world's best soccer player is not the point of this article, but how he achieved this level of excellence is. Self-confidence lies at the core of excellence. But how do you build your self-confidence regardless of your profession? World-class athletes publicly reinforce their self-confidence. The late Muhammad Ali, for example, had unmatched self-confidence. A big believer in the power of positive self-talk, he is famous for saying: "I am the Greatest. I said that even before I knew I was." That was his self-affirmation. What is your self-affirmation? Create one or borrow one that inspires you and repeat it until you believe it. To achieve excellence, you need to practice, practice and practice until the task is no longer novel to you. In a documentary made a few years ago, Ronaldo's physical and mental abilities were put to the test by a team of sports psychologists and researchers. One of the tests involves passing the ball to Ronaldo to score. The tricky part is that lights are shut off half way before the ball gets to him. Ronaldo, however, was able to score every single time. An amateur soccer player who took the same test was not able to make contact with the ball. The sports psychologists determined that Ronaldo was tapping into information deep into his subconscious, based on thousands of hours of practice. He performed the task without even thinking about it. "Ronaldo's subconscious ability has come from thousands of hours of practice, which has filled his mind with so many permutations of the game to tap into that when it comes to match play, he has an uncanny ability to perform without having to think or look at the ball," they said. Author Malcolm Gladwell referred to this concept in his book Outliers as the 10,000-hour rule: we master skills through focused and repeated practice. He cited the Beatles and hockey players who achieved 10,000 hours of practice in order to master their craft. That is the power of practice. When you practice over and over and over again, the task becomes second nature to you.